A restraining order is a court-issued legal statement that prohibits a person from contacting or going anywhere near another person. This typically includes the order to stay away from that person's residence, workplace, vehicle, friends and/or family. While a restraining order usually has a time limit attached to it, the person that filed the order may wish to remove the restraining order before that time is up. Removing a restraining order can be done by the person that filed it, however the judge will want to know why the person wants to remove it and must act in the best interest of the person's safety. Judges take restraining orders seriously, so removing a restraining order may not be as easy as one may think. The victim would need to speak to the judge and provide his or her reasons for removing the restraining order. The judge will want to ensure the victim is truly safe if the restraining order is removed, and will request that the victim immediately notify the police should any further violence or threat occur from the defendant. Courts are not fond of removing a restraining order because they are concerned for the victim's safety. If you filed a restraining order against someone and want to remove or cancel it, it would be your best bet to attain the help of a lawyer. Experienced attorneys know what the judge will look for in your request to remove a restraining order and they will help you present your reasons so that you get the outcome you want. Removing a restraining order is not always easy and not always possible, so an attorney's help can make all the difference in ensuring a successful cancellation or removal of a restraining order if that is what you wish. If you need help removing a restraining order that you have filed, contact Attorney Search Network. 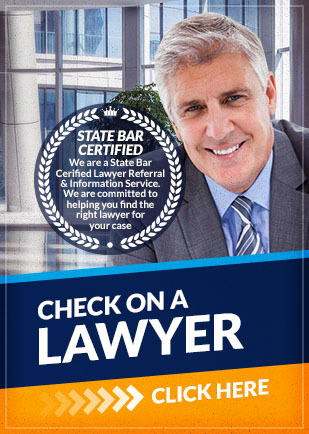 We can help you find a local lawyer to assist you in removing a restraining order quickly and efficiently. If you have any questions about the information provided above, please contact us. Call us toll free at (800) 215-1190 or fill out out online form for your family law lawyer referral.